As a member of the United States Armed Forces, you might have to relocate a lot. You never know where you’re moving to next, and you usually need to pack and move fast. Fortunately, we can help you! If you are a member of the USA military, trying to move your home because of your job, let us know. 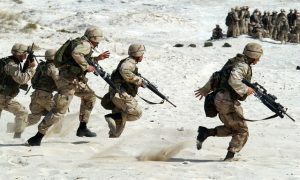 We will ensure that you receive our military moving package during your relocation. Zippy Shell Greater Columbus Moving and Storage provides special moving services perfectly tailored to assist our nation’s bravest men and women when they’re relocating. So, don’t hesitate, soldier! Call us to provide assistance with your next relocation and you’ll have more time for your family and friends while our military movers take care of moving your home. Zippy Shell offers the help of the best military movers in Columbus. 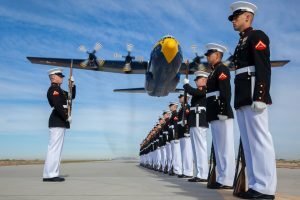 What is the role of our military movers? As a legitimate and reliable moving company, we provide many services which can come in handy during your move. Military moving is one of them. Our team of experienced relocation specialists will assist any soldier in moving their home within US borders. We consider that our country’s many and proud deserve special treatment when it comes to moving. And so, we’re here to offer it, no matter the distance or the size of your relocation! Zippy Shell Greater Columbus Moving and Storage will help you move to your next posting in the USA, or we can store it, if you are relocating overseas. Which are the trait of good military movers? Not all military moving specialists are created equal, and some offer the same moving services but just call them military. This is not the case with us! We will make sure we meet your every relocation need during your move! Any moving problems you might run into, we’ll tackle! And finally, we’ll ensure your move is easy and stress-free for you and your family! This is what makes our military moving specialists the best in the business! So, whether you’re moving to a base close by or you need reliable long-distance movers, you can rest assured that we’ve got your back! Of course, the service is not the only thing which makes military movers good or bad. Since relocation types and demands vary from individual to individual, a moving company will need to be able to meet all your moving needs. This is why good army movers should offer various services to meet your moving needs. Whether you want to get packing services in Greater Columbus for quick and easy packing or you want to pack by yourself and have the movers transport your items, you should be able to choose! This way, you can perfectly plan your relocation! Finally – reliability. This is the last but the most important factor which marks good military movers. If you want to have a successful relocation, you’ll need to know that you can trust your movers. This is why our moving specialists are always sought after for military moves! As in the field, so too at home! Our bravest know how to value reliability! If you’re wondering about which military movers will fit your needs the best, you won’t go wrong with Zippy Shell Greater Columbus Moving and Storage! We offer customizable and reliable moving services which are bound to satisfy your every relocation need. So, you can choose from our customizable relocation plans. They will allow you to choose additional services apart from packing and transporting your goods. For example, if you need reliable military storage solutions for your move, we’ve got your back! It’s super easy to have a successful relocation when you can fit it perfectly to your every need! Apart from this, our professional movers are experienced in relocating any type of household or business. This means they can tackle any moving-related issue on the fly and it makes them irreplaceable during any relocation! Because of their experience and the right equipment, our military movers can guarantee the safety of all of your items during a move. So, you needn’t worry about anything! Just relax and enjoy your move. honest – we will always provide you with our experienced point of view and moving advice! 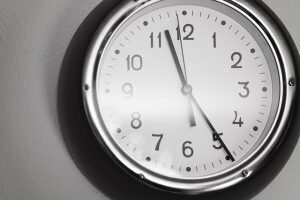 punctual – we know how important the timeline is for a soldier and for a relocation. This is why our military movers will arrive on time and they won’t waste your time! hard-working – our movers know that, unless they put in the work, they’ll never be good military movers. So, they make sure to work smart and they work hard! Last, but not least, we know how to treat the nation’s bravest men and women properly! Our moving specialists will offer you the best service and the best conditions for your relocation. This is why many US Armed Forces members opt for our moving services daily! Because they know that they can count on us to relocate their homes without any issues or complications! 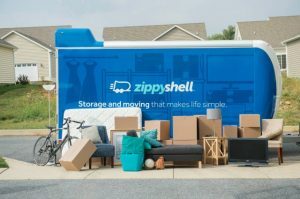 So, if you need help relocating to your new home, feel free to contact Zippy Shell Greater Columbus Moving and Storage. We guarantee that your move will be successful and easy! Our movers are punctual and reliable! In the end, if you’d like to hire our reliable military movers, please give us a call and we’ll estimate your move costs for free! In addition to this, you can contact us with any other questions you might have about relocation. Our specialists will provide all the help you’ll need – be it relocation assistance or general information about moving and storage. You can rely on Zippy Shell Moving and Storage to take care of your every moving need!